Goto: www.asiahomes.com (this webpage) for more detailed information. Expats' choice of Upscale Houses. Call asiahomes' Realtors Now! "SUBJECT TO CONTRACT & AVAILABILITY"
1) Rental rates are subject to change without notice. 2) Property may be partially or fully furnished at Landlord's discretion. 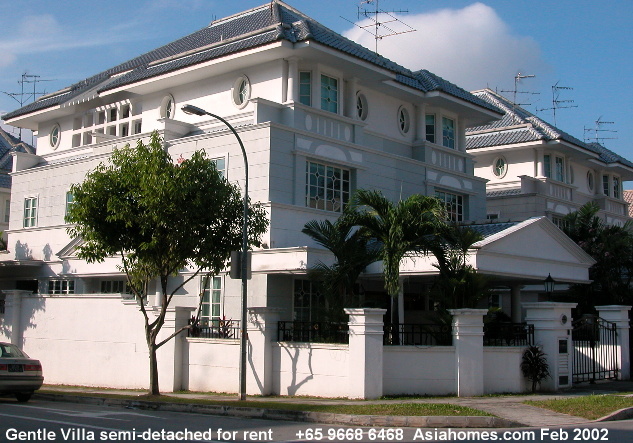 Our phone +65 9668-6468 is an answering service to get you appointments by asiahomes.com agents to view/buy/sell Singapore residences. We do not have telephone numbers of serviced apartments or managing agents of condos to contact your friends. August 2, 2005 webpage. Re-send e-mails or phone +65 9668-6468 if you don't receive our e-mail reply within 48 hours. We get 4,000 junk mails daily. Yours may not be received. 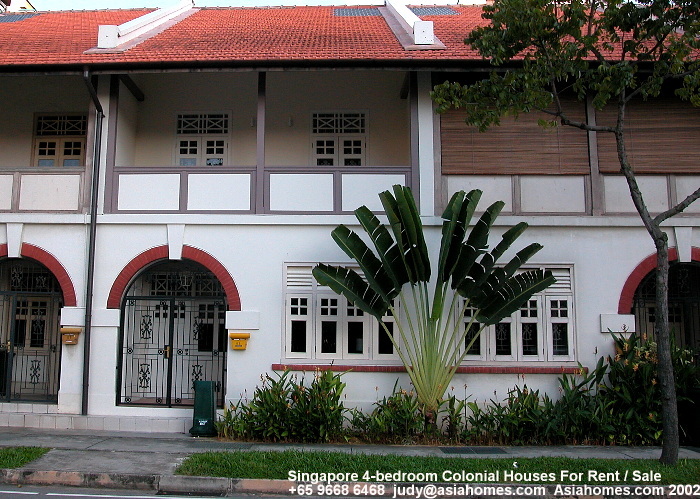 S$2,000 - S$3,000 for Townerville colonial townhouses for rent. 6-month-leases possible. An upscale condo located in Orchard Rd. Completed in 2005. 99 years leasehold 2-min walk to Orchard subway. 5-min walk to The American Club.